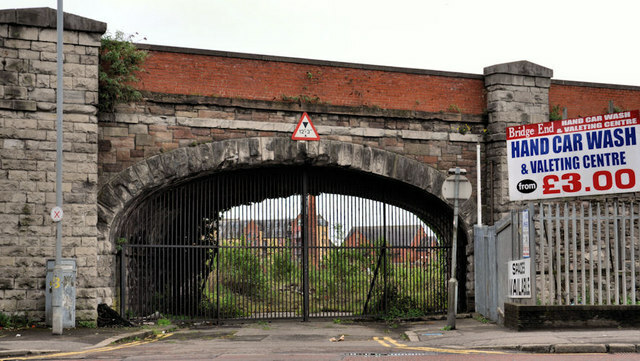 See J3474 : Railway arch, Belfast. Little change since the previous shot in July 2007. The apartments have not materialised. The former petrol station J3474 : Former petrol station, Belfast (1) (right) is back again as a car wash – no apartments there either.